A couple of weeks after a similar premiere for the comedy series Now Apocalypse, Starz has announced that it will be debuting the 10-episode second season of its acclaimed dramedy series Vida online for viewers to binge in its entirety in addition to a traditional weekly schedule, according to The Hollywood Reporter. While Apocalypse waited to premiere the entirety of its season a couple weeks after initially premiering on the network, the complete second season of Vida will debut on-demand and on the Starz app on May 23, a few days ahead of its premiere on Starz. The series will then air weekly on Sundays beginning on May 26. 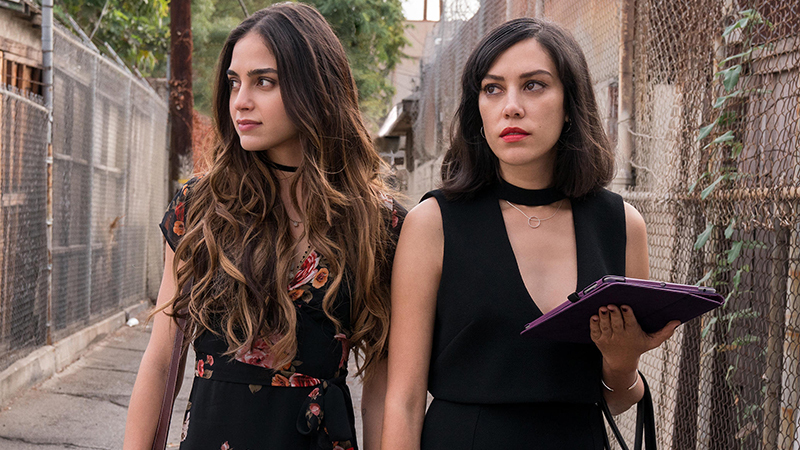 The premiere season of the series, created by Tanya Saracho based on the short story “Pour Vida” by Richard Villegas, Jr., centered around two Mexican-American sisters, Emma (Mishel Prada, Fear the Walking Dead: Passage) and Linda “Lyn” Hernandez (Melissa Barrera, Tanto Amor) from the Eastside of Los Angeles who couldn’t be more different or distanced from each other. Circumstances force them to return to their old neighborhood, where they are confronted by the past and surprising truth about their mother’s identity. As the season progressed, the two go on different introspective journeys as they learn of their mother’s secrets and how it affected how they live and act now. Upon its debut in May, Vida was a hit for Starz with critics hailing the series for its fresh take on the familial genre and creation of a safe space for stories regarding Latinx and freedom of sexual identity, with the first season maintaining a 100% “Certified Fresh” rating on review aggregate Rotten Tomatoes with 28 reviews. It was also a ratings success, with the season finale tripling its Hispanic household audience numbers since the series premiere, as well as an overall increase of 60% of total viewers, with the series premiere having seen 0.20 million viewers while the finale saw 0.163 million viewers. Vida is created and executive produced by Saracho, who will maker her directorial debut in this season, alongside Big Beach TV’s Robin Schwartz, Peter Saraf and Marc Turtletaub with Stephanie Langhoff (Togetherness, The Bronze, The Skeleton Twins). Vida‘s second season will be available in its entirety beginning May 23 on demand and through the Starz app and will begin weekly airings on Starz on May 26.